Goat liver or mutton liver was a much hated offal few years ago. I never liked it in any form I tasted and never wanted to have them although the husband loved any kind of liver. He would even have it just lightly stir fried with ghee, salt and pepper. I rarely cooked it just because there were other tastier things to enjoy. And then the husband was diagnosed to be deficient in Vit B12, mutton liver became a regular twice a week food that he loved and I hated with all my will. But I knew I had to start loving it sooner or later. With an ageing body you can't have the luxury of ignoring a few supplementing foods that your system needs. A younger body can take care of itself even when we neglect a few health aspects, age makes us see life differently. And see I did. I started cooking a different curry each time I cooked mutton liver. I must have used all imaginable types of herbs and vegetables with it, after all it was a twice a week experiment and the good thing was, that the husband loved liver in any imaginable form. I had the liberty to colour it any which way. So while he loved all the variants, I would choose to eat or not to eat depending on how I liked it. Yes I am selfish when it comes to food and started cooking only those that I liked. This mutton liver in nigella and turmeric is one of those favorites ways to cook it, often with spring onions or pumpkin added. 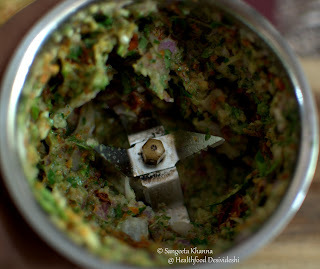 And this one with a curry patta paste that I cook quite often. An Indian Chinese version is also cooked frequently but I haven't shared it yet. This one was a well thought out curry that became an instant hit with us. I did a few changes after I first cooked it and this is the best loved version of my curry patta and cherry tomatoes mutton liver. I add baby potatoes to it, with skin, halved or quartered depending on their size and it really becomes a one pot dinner for us many times. I told you it has the potential to become a finger food. May be you like your finger foods more dry, we don't hesitate dipping out fingers in slurpy foods. Here is the simple recipe, ah yes, you know I rarely cook complicated things. Make a coarse paste of all the ingredients together, except the mutton liver, potatoes and sesame oil. The paste looks like this. Do not add any water while making this paste. Clean the baby potatoes nicely and quarter them. Rinse and keep aside. Now heat the sesame oil and tip in the quartered baby potatoes. Stir to coat them with hot oil and to sear them briefly for a minute. Add the paste into the oil and sizzle for a couple of minutes. Keep frying till the paste gets aromatic and looks glazed. You might need to sprinkle water in between if your pan is not thick enough. Add the mutton liver pieces, mix well and sprinkle some water if required. I prefer cooking it on low flame so I never need any sprinkling of water. Cover and cook for about 5 minutes or till the potatoes and liver pieces are all cooked. The curry looks thick and coating consistency. You can adjust the consistency by adding water, but try it dry like this when you cook this for the first time. Later you can always adjust the recipe to your taste. 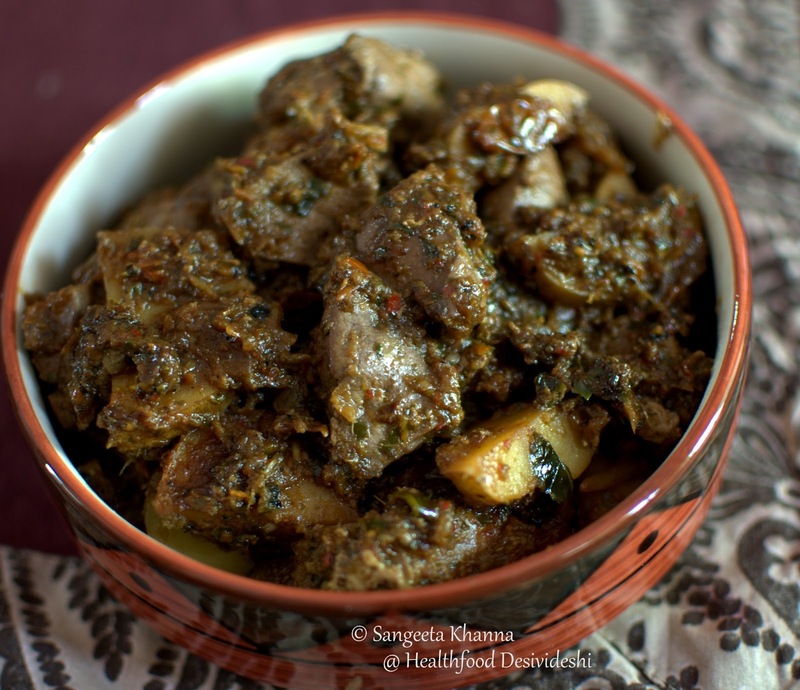 The flavors of slightly tart sun dried tomatoes complements really well when there is so much chilly, curry patta and ginger etc, liver itself has a very strong flavor but that takes a twist with these supremely aromatic kind of flavors. Use tomato paste or tomato puree or even fresh tomatoes according to availability. If using fresh tomatoes you would be required to blend them and reduce them over heat for a while to get a really rich taste of tomatoes in it. Do that extra step, you would love it. Hi Sangeeta, I am not sure why has my comment not gone thru,its not first time that I am writing. Any way your goat liver stir fry reminded me of my days in Barmer. Goat liver and the meat in general was very cheap there and I enjoyed a lot of liver recipes. After I moved I never cooked and now I am looking forward to try your recipe with ground curry patta and dried tomatoes. 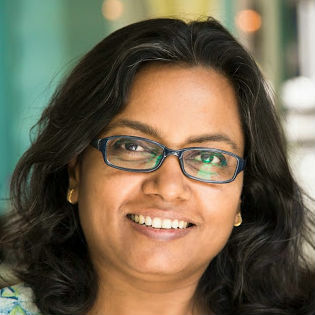 Hi Balvinder. I think I have seen a few of your comments on both my blogs so there shouldn't be a problem. Did you comment on this particular post earlier and that did not get through? Thanks and please let me know if you like this recipe. I love liver! :-) And I love how quickly it cooks! I make a simple stir fry - the usual turmeric, red chilli, dhania pwd - with onions and tomatoes; it is great with paranthas for breakfast! 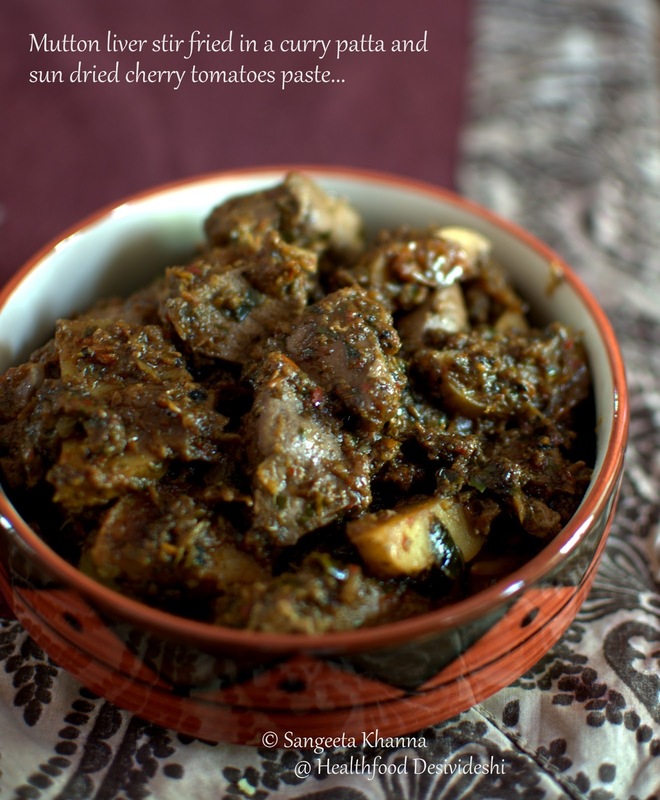 The curry patta paste will make a great variation - I am all for curry leaf-everything.